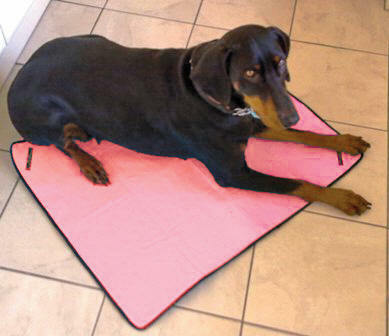 These stylish and easy to use KeepCool Dog Mats and Bandanas have been specifically designed to keep your dog cool however hot it gets. They are environmentally friendly, brilliant for all outdoor or indoor activities (before, during and after), walking, obedience, car travel, sailing on your boat or just lying in the garden. 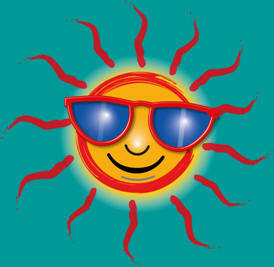 They feel cool and soft to the touch, are lightweight, breathable, durable, comfortable and do not drip. 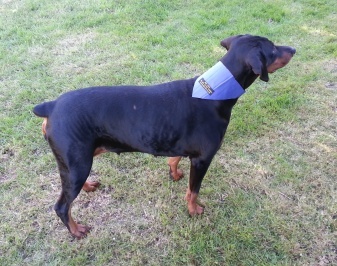 The Bandanas adjustable velcro tabs are simple, secure and comfortable. KeepCool Dog Mats and Bandanas have helped dogs with illnesses that cause breathing difficulties in the heat, and has saved lives. They help prevent panting and moderate breathing, relieving stress. 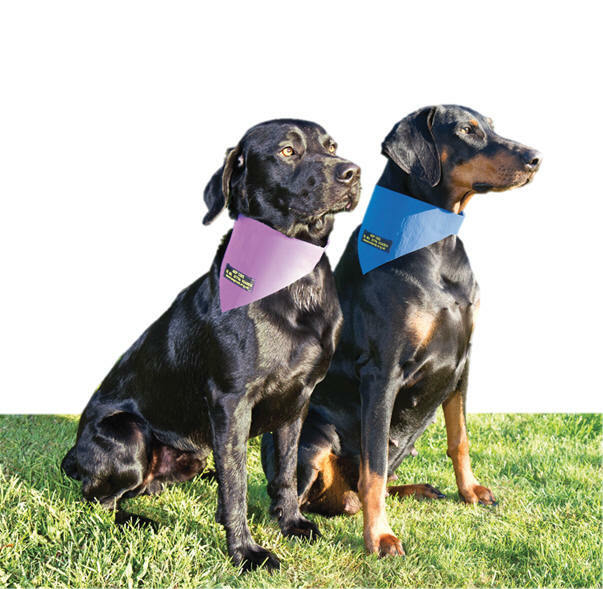 It has been tested with a thermo imager that showed that the cool mat and cool bandana will help an already overheated dog reduce its temperature to normal within 5-10 minutes. 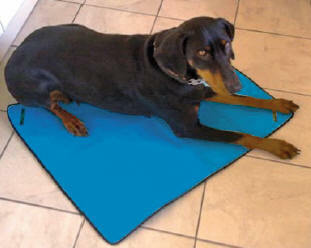 The KeepCool Dog Mats are available in three sizes and five colours. The colours are: Pale Pink, Royal Blue, Purple, Lemon and Mint Green.